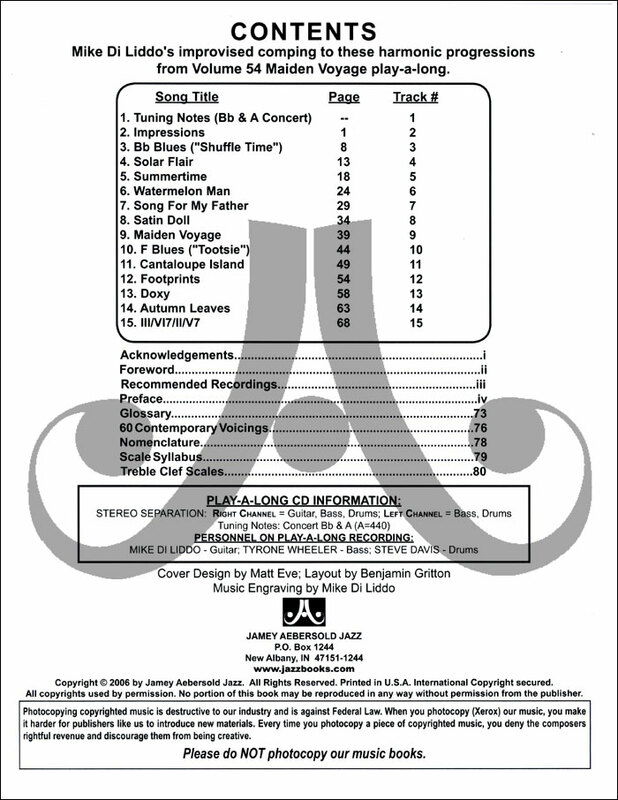 Presented here is written and recorded guitar accompaniment to the entire volume 54 CD. 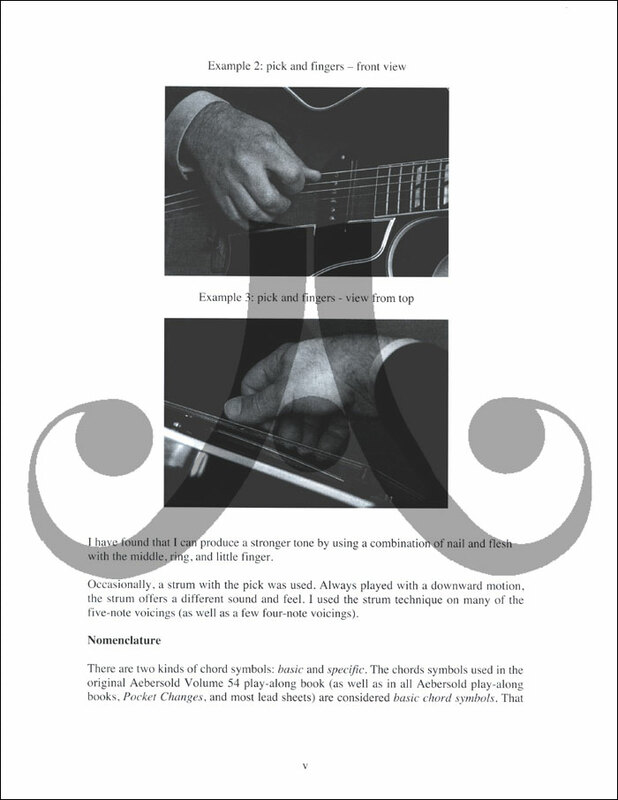 This long awaited book includes easy-to-read music, chord symbols, and guitar frames above each example for the non-reading guitarist. 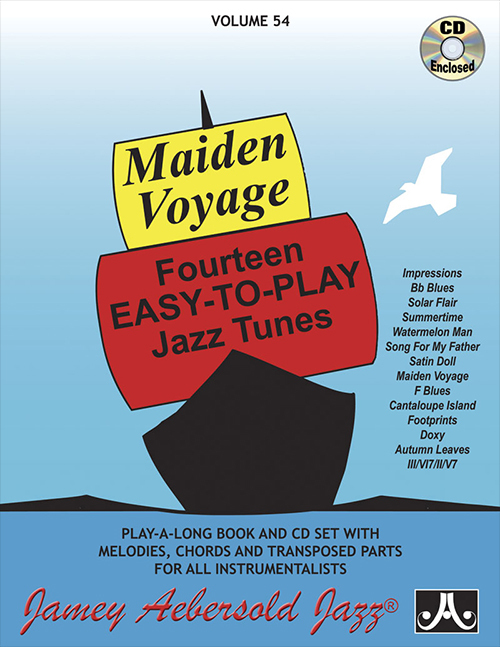 Also included is a CD of Mike playing the voicings with the "Maiden Voyage" play-a-long. 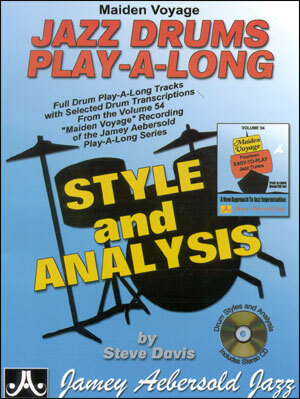 Special CD stereo separation allows you to eliminate the guitarist and sit in with just the bass and drums. 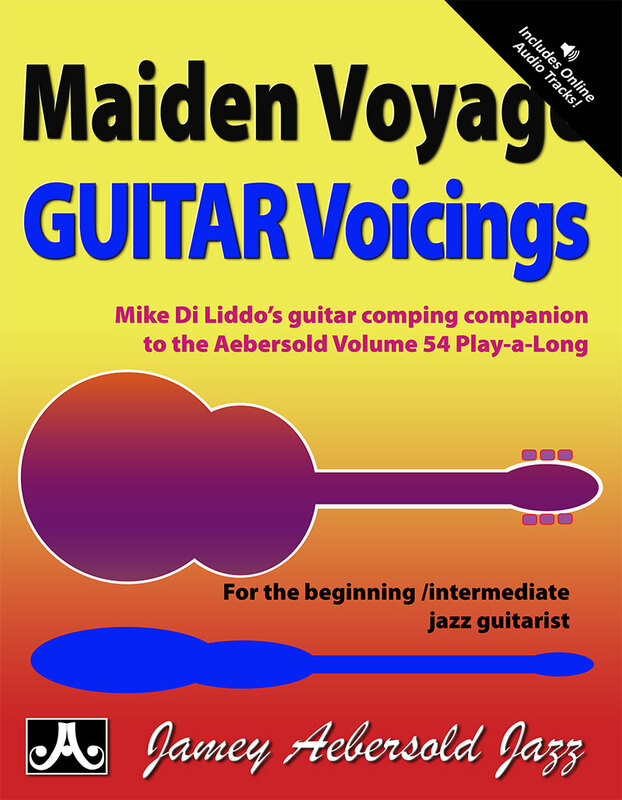 These voicings are "real world" authentic chord voicings, not simplified sterile examples. 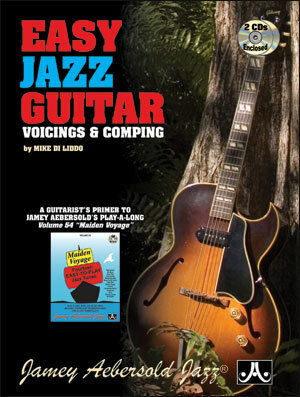 It's a great opportunity to not only learn great jazz voicings, but to see how these voicings can be used to navigate blues, rhythm, and great standards. 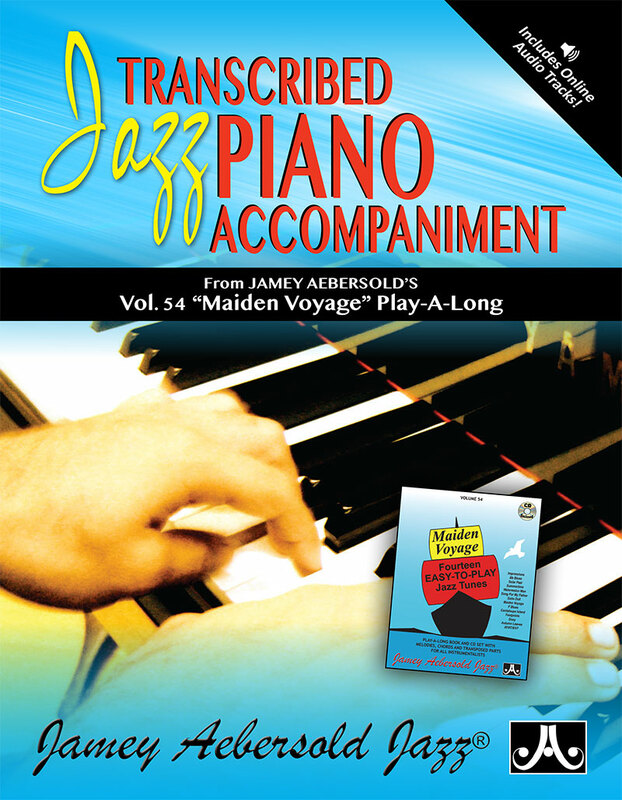 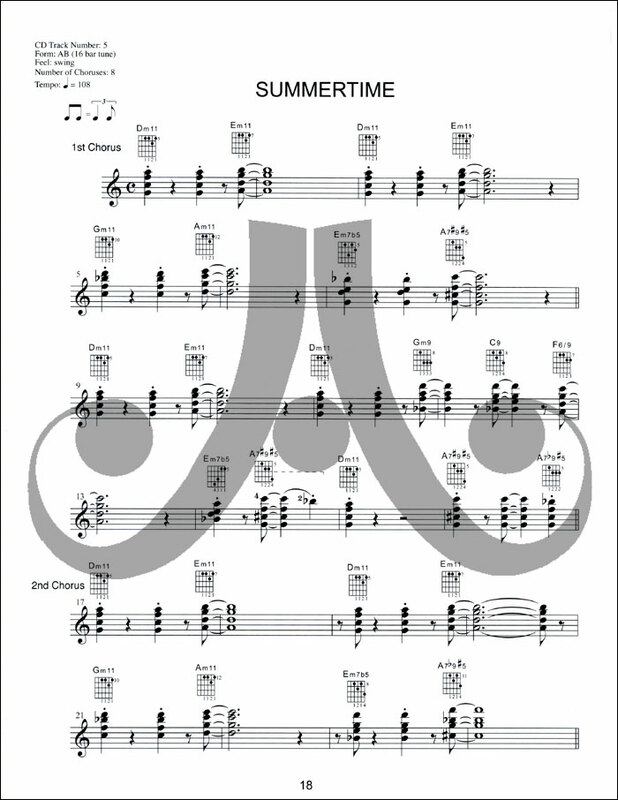 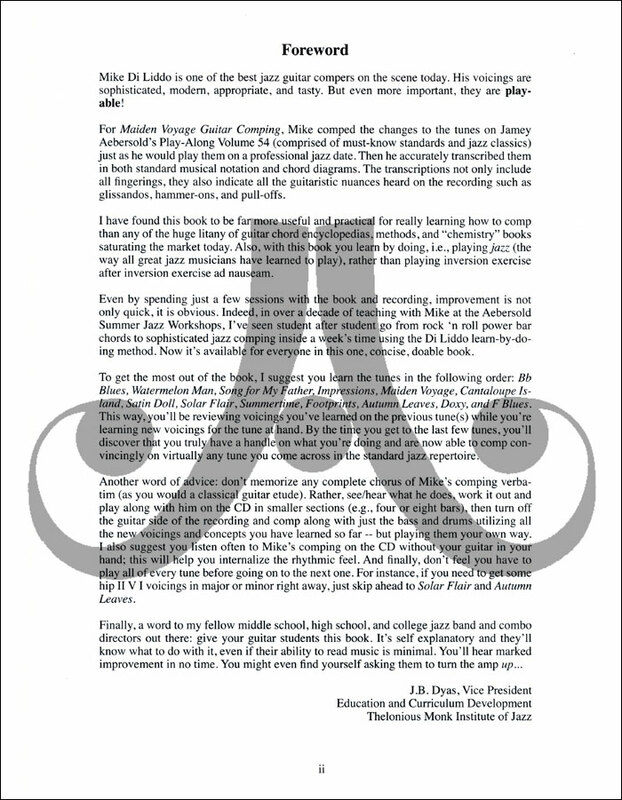 Band directors will love this one because now ALL members of the rhythm section can practice their comping with this world famous play-a-long (a book for pianists, drummers, and bassists has been available for many years - see "Related Items" below).